In July 2008, science fiction publisher Tor launched a new website called Tor.com to promote its upcoming releases. But the site was designed to go beyond Tor’s books. It was meant to provide coverage for books from other publishers as well as original fiction chosen by Tor editors. Since its founding, Tor.com has gone from a simple website to a full-fledged publishing operation. In addition to publishing shorter works of fiction, it also publishes a range of novelettes, novellas, and even some short novels, with books like Nnedi Okorafor’sBintiand Martha Wells’All Systems Redearning considerable acclaim from the science fiction community. 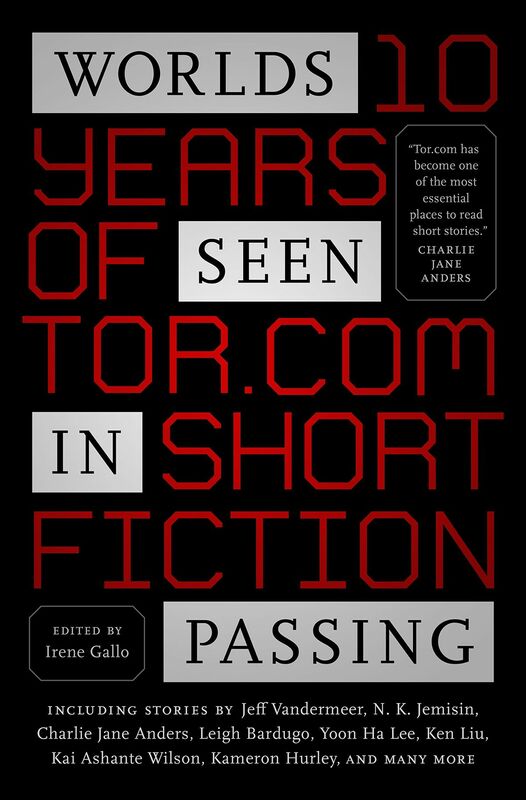 This week, the site published the anthologyWorlds Seen in Passing: 10 Years of Tor.com Short Fiction, which celebrates the best of the site’s fiction in the decade that it’s been in operation. Tor’s creative director Irene Gallo tellsThe Vergethat the original idea for Tor.com came from Fritz Foy, who managed technology initiatives for Tor’s parent company Macmillan. (He’s now Macmillan’s president and publisher.) Foy arrived at a Christmas party in 2007 carting a stack of science fiction and fantasy magazines, and he proposed a new site that would highlight genre novels, publish short fiction, and generally talk about what readers were interested in. “It was really trying to talk to readers really directly,” she explains. “Right from the start, we wanted it to be publisher- and media-neutral,” covering not just written fiction, but also science fiction television and film. Over the years, Tor.com experimented with short fiction in ways that its predecessor print publications likeAsimov’s Science FictionorAnalog Science Fact and Fictiondidn’t. It released stories on its website for anyone to read, along with artwork. It made individual stories available through online retailers like Amazon, Barnes & Noble, and Apple’s iBooks, and it bundled together free ebook anthologies that collected the site’s best stories of the year, or along some specific, topical theme, likeNevertheless, She PersistedorFierce Reads, an anthology for YA readers. Macmillan announced a big change to Tor.com: the site would become a full-fledged imprint, and it would release its own line of printed books, focusing on works that were shorter than an average novel, but longer than a traditional novelette, alongside the fiction that it was already publishing online. Traditionally published in science fiction magazines or through specialty publishers, Tor.com’s novellas and short novels have a distinct advantage for an online audience: their shorter length allows them to be read in just a sitting or two, making them perfect for digital reading or commutes. The Fortress at the Edge of TimeorWinter Tideby Ruthanna Emrys. In the early days of science fiction publishing, the typical length for a novel was around 60,000 words, rather than the 100,000 to 120,000-word mark they can reach today. Gallo notes that Tor.com will publish more novels in the future, and that those shorter novels certainly fit with the types it’s released.